I’m glad to say that the days of girls driving cars that look like this are thankfully coming to an end. These days girls doing their cars up just as nice and sometimes better than the fellas, so ladies this one’s for you. To kick things off here is a bagged local ride which I have spotted a few times in my travels both online and in real life. 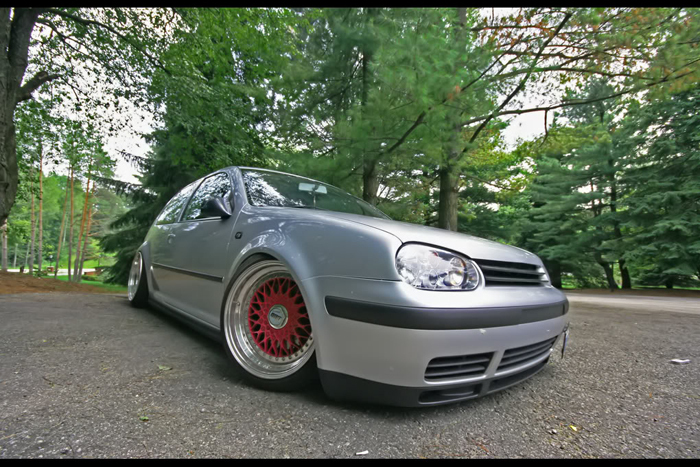 The stance and wheel choice are on point and and while I have never had a chance to talk to the owner I know that she is part of a VW loving couple that loves to fly low. This is the second time I’ve posted MK’s 3 but it’s a well deserved double take, I was sweating these wheels for awhile, who would have thought stock Subaru rims would fit let alone look great. I’ve mentioned Foxie from Cars X Girl subtly in the past and she’s also a regular commenter on my posts. 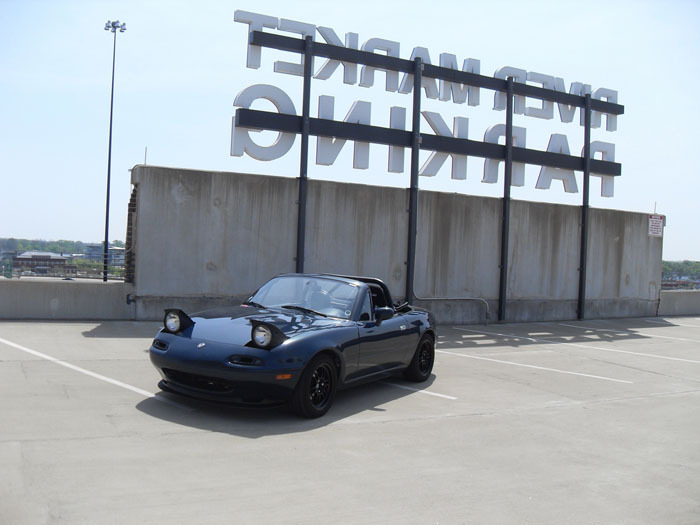 However some of you might not have known that she drives a nicely set up Miata as a daily driver and weekend warrior. She’s also working on a 240 which I have been keeping my eye on. Krystun has had a few nice cars over the years, she had a Del Sol show car for awhile that went through quite a few revisions and a Blue STI that got stolen before this one. Now that she has this STI I don’t think she will ever let it go, don’t mess with this car. I found this car when working on the It’s Murder Theme Tuesday post and realized it’s almost mythical presence on the internet. The car is owned by an attractive blond member of the Mischeif crew who goes by the web handle silicone valley (I will leave that one alone), all the videos of her driving it on youtube have been taken down though bummer. 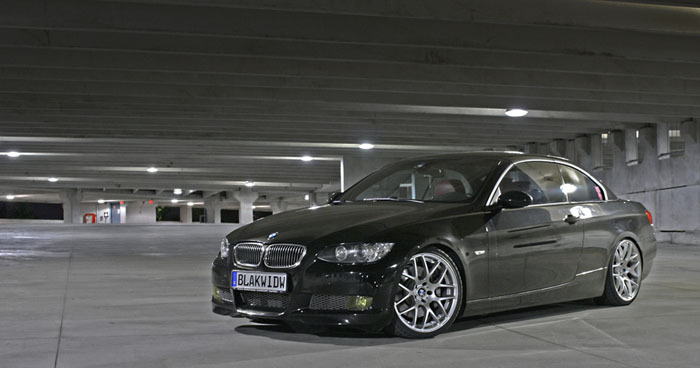 Stephanie aka Black Widow is a max member and drives this 335i which sits on a set of staggered 19″ VMRs with H&R sports bringing the height down to where it needs to be. 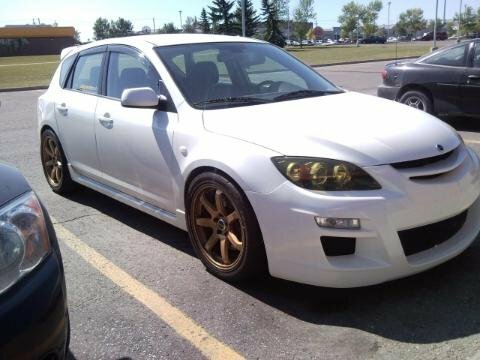 Another double take from the Mazda 3 Theme Tuesday, my friend Mike actually spotted this car on the streets of Calgary just days before I posted it for the first time, small world. This ride belongs to another female blogger who I spotted on the blog roll of The Chronicles. Morgan owns a car that would make a lot of the jdmrides.ca crew supe jealous a swapped RHD Civic Type R. I wouldn’t mind kicking around in this car and her blog has slowed down some of my productivity at work. A group of girls hit up H2oInternational this year (water cooled VW/Audi show) and ever since these pictures hit the net I have not really been able to get away from them, and for good reason these cars are done right. So many things looking proper on this ride, the color, the height and that rear dish! The owner showing off her status. For more pics of the h20 International girls visit this thread on vwvortex. That’s all for now, I might do another one of these eventually but it took some to to round up these rides so don’t hold your breath too long! 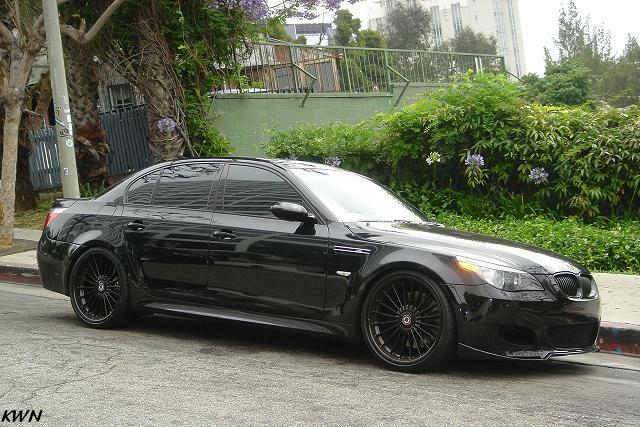 After seeing all these Femmes with some badaas rides, makes me a little sad. Seeing as how we’re such big car guys it’s pretty bad that we’ve only slightly rubbed off on our ladies. What are WE doing wrong man? P.S. 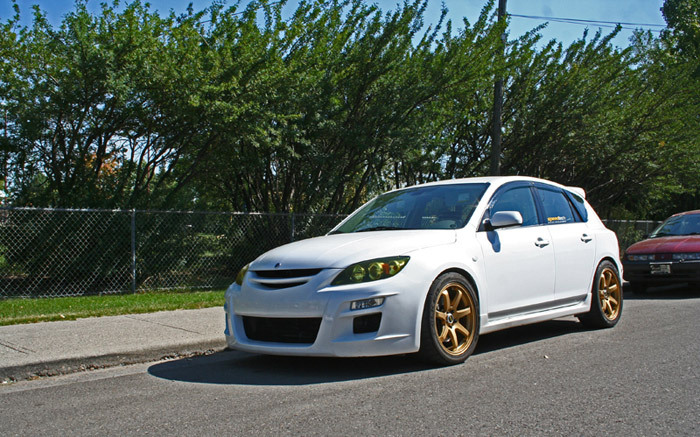 Krystyn might bust you up for calling her STI a WRX. Pretty much the same thing, but not to STI owners, haha. Lemme edit that quick lol. Hey, thanks for the mention! I like how you put “girls with hot rides,” not “hot girls with rides.” 😛 RT’ing this for sure. Love the Type R hatch. 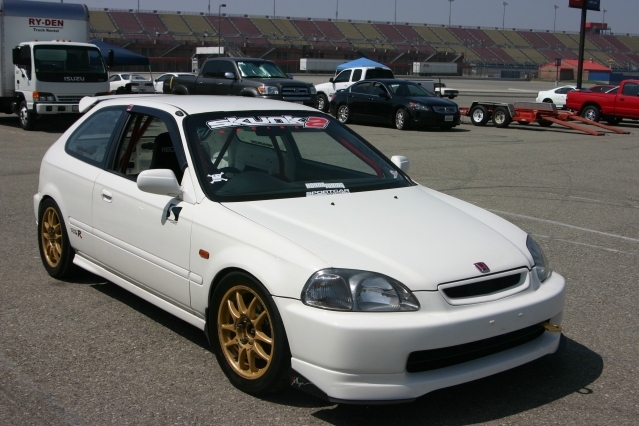 I was thinking of trying to import one myself someday, a nice little EK. Keep her pretty much stock and roll around in a Type R… I have a love for Honda that’s never gonna go away, and an appreciation for the Civic because they can be so awesome done right. I was gonna go with pink accents, but I’m far from a pink-type girl. The purple harness suits me just fine, I think, and it’s more fun to see people’s shocked faces when they find out that my Miata *is* a girl’s car. 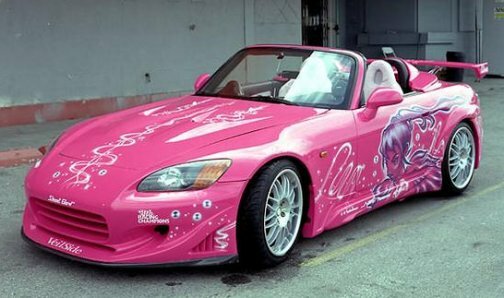 I don’t think too many people are surprised to see your Miata is a girls car since I believe the generalization is that miatas are for girls and the flamboyant bunch, haha. Hot girls with rides has been done to death about time someone flipped the script. Pink is pretty cliche but seems to be in right now! haha nice quick change there Dave but looks like Ksold SOLD you out! 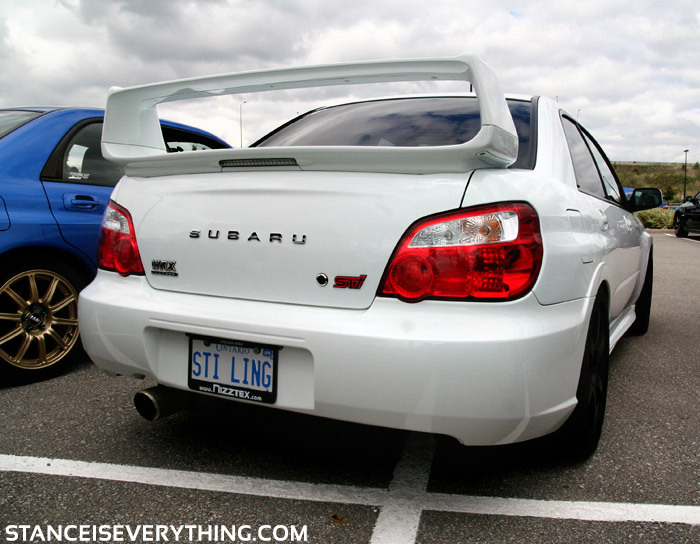 thanks for the blog the STI looks HWAT! must be from the photographer! Also when i get my civic painted, the next theme can be girls with faster cars then guys hahah just ball breaking! but great website u have here! Very fond of the pink accents. Thank you for the recognition on my speed3!! Much appreciated. Aww boo, didn’t make the final cut. hahahahaa.